Since the dawn of humanity, men and women have always been fascinated with astrology and its power of prediction, and at Turin Epicurean Capital we always keep an eye on our horoscopes both for fun and curiosity. 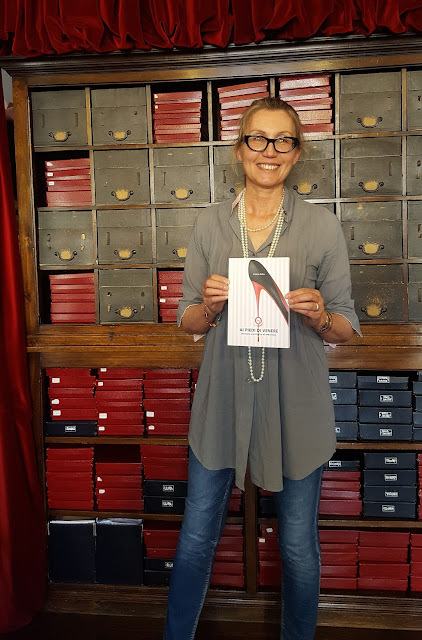 Turin astrologer Patrizia Balbo has just published a book Ai Piedi di Venere (At Venus Feet) merging this interesting science and fashion where she analyzed the position of Venus - the planet of love - in all her possible combinations with the the 12 horoscope signs. According to where our Venus is placed in our birth chart, Patrizia matched a shoe style! We met with Patrizia to know a bit more about her and her book in view of her participation to the round table on June 22 for the 4th edition of Turin Epicurean Capital. 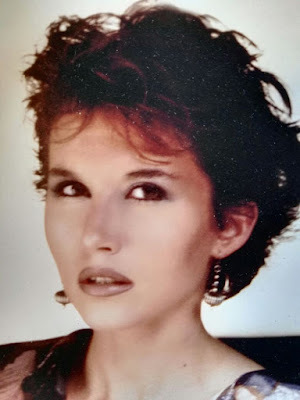 A native of Turin, Patrizia is a woman of many lives: her passion for astrology was born in her early teens but kept dormant till her early 40s, in the meantime she was a fashion model, a logo designer and even a math teacher in a high school. It is always interesting to see where life brings us and many people could easily say that "everything is already written in the stars" we just need to know how to read them. Well, this is exactly what Patrizia does for a living nowadays. Thanks to her mentor, an old astrologer, Patrizia could turn her passion into her profession and she now manages a studio in downtown Turin plus two other locations. Smilingly, she tells us that the interaction with her clients is actually the part that rewards her the most because their questions put her on the path to know more. Astrology is an ever ending quest and she deeply feels that her mission is to promote an easy and relaxed way of life and the different planets' positions explain to us why we are sometimes stuck in a situation or slowing down right before a big change. In her study, she gives a simplified vision of the more technical astrology language to let people understand how astrology is really just a means to reach our awareness. For her first book she focused on all the possible placements of Venus because it is closer to the female's sensitivity; in fact, just like the Roman goddess, the planet represents both the ideal women want to reach and the ideal woman men dream about. Because Patrizia loves symbols, she looked into fashion for the one accessory that universally matches Venus and her characteristics: the shoe! So much has already been written about the symbolism of shoes, however, Patrizia went deeper in her astrological descriptions as to each one of the 120 combinations of Venus, she indicated a model of shoe that personifies the features of each profile, she also wrote a short story and added the perfect astrological male match (what Sun + Mars men match what Sun + Venus women). This is how for example, we find out what shoe models best describe the impetuosity of those women with Venus in Aries, the elegance of those who have Venus in Libra rather than the shoe model that exemplifies the Scorpios' transgression. Soon Patrizia Balbo's book will also be available in English so everyone will be able to find out what shoe model best match her natal chart. Too curious to read what shoe model represented us, we peeked through Patrizia's book and are now anxiously expecting the next one!! Keep an eye on Patrizia's website to know when the English version is coming up!